Filip Novachkov, one of our amazing wrestling coaches dominating the 2014 Super Grappling Tournament in Indonesia! Filip teaches wrestling at Sunnyvale Smash on Monday Nights at 7:30pm and Wrestling Classes in San Jose Smash every day. Check the schedules at www.smashgyms.com. Kids Holiday Camp! Keep Your Kids Busy on School Days Off! 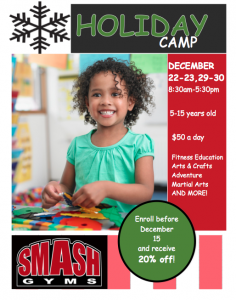 Smash Kids Holiday Camp! Arts & Crafts, Games, Activities, Sports and Tutoring! San Jose and Sunnyvale Locations! 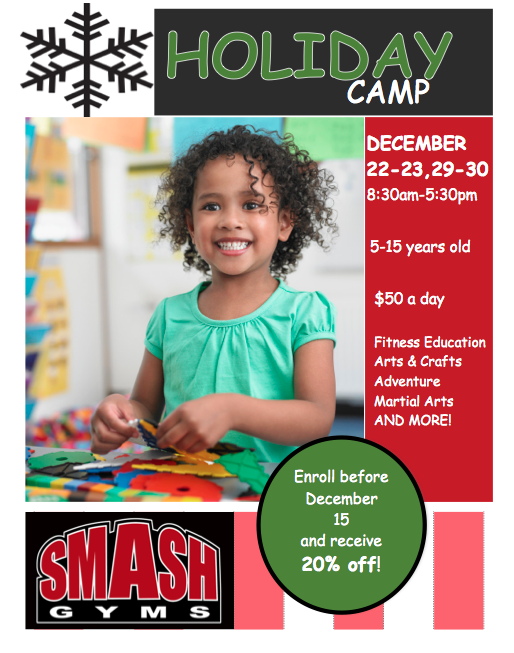 Please email Debbie@smashgyms.com or call 408-744-6334 for more information!